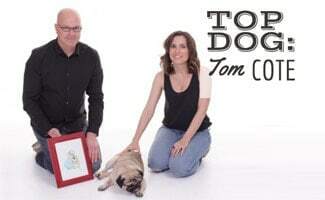 Tom Cote is a comedian, YouTuber, lover of pugs and children’s book author. 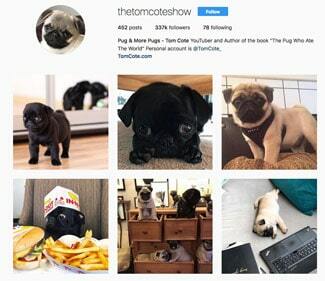 We stumbled upon his Instagram account and immediately drooled over all the adorable pug photos. 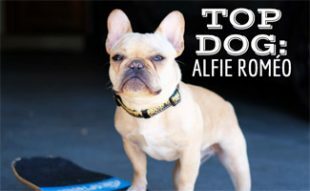 So, we asked him to share some of his insights on his book writing process, love of pugs and Instagram success. 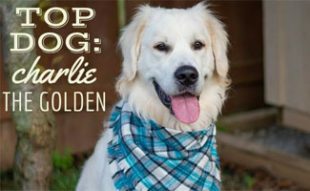 Learn how he became internet famous and the best way to get your paws on his book in our latest top dog interview. How did your love of pugs start? So one day many years ago I climbed a set of stairs to a friend’s apartment, and as he opens the door to the apartment, I see the strangest dog I’ve ever seen with a flat face. Then I watch with amazement as the pug is listening to three people have a conversation turning his head to whoever is talking like he is completely following the conversation. At that moment I realize the pug breed is the coolest thing I’ve ever seen. Where do you find so many amazing pug photos? I started my Instagram account back when I had Buddy (the pug that I did a lot of YouTube videos with), and I used to dress him in all kinds of clothes. After Buddy passed away, I converted the page into a shout out channel for my fellow pug owners. So pug owners use hashtag #TheTomCoteShow and I choose the most interesting pics that I think fellow pug lovers would enjoy most. I am nearing 500,000 pug pics that have been tagged which is exciting. The pug community is amazing! (Here’s a sample of what to expect on The Tom Cotes show channel. There are lots of funny videos, but this one of a pug looking for a place to poop is our favorite). How did you gain such a big following on social media? I think I’ve done very well on social media because I do my best to release quality content – be it videos or pug pics. I always advise people to learn how to tag and hashtag appropriately. Also, in regards to Instagram, don’t post more than two times per day – people burn out quickly. Who are some of your favorite celebrity pets? Oh my goodness. “It’s Doug The Pug” is such an awesome dog. Leslie Mosier, who owns Doug, takes brilliant photos of Doug and never seems to run out of ideas. Also, my friend Gemma Gené @157ofgemma has an incredible Instagram page full of her comics and pics of Mochi! She completely understands the charm and wit of pugs perfectly. For my entire adult life, I always wanted to write a children’s picture book due to the incredible memories I have of my Mom, as well as teachers in my early years of development, reading me fantastic picture books. So one day I’m telling my wife Renae about this lifelong dream and she said “it is time for you to do it now,” and I listened and headed into my office and started the process. 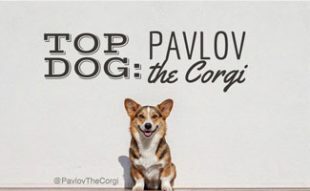 Of course, it was a no-brainer that it had to involve a pug. One of my biggest challenges was finding an illustrator that I could trust to bring the story alive. I was blessed because the first person that came to mind was Gemma Gené. I had already been following her on Instagram but I was nervous that she wouldn’t give me the time of day. I contacted her and sent a rough draft of the story and she absolutely loved it and wanted to be involved. I was quite nervous waiting for her first drafts but it was obvious after I saw her drafts that I had chosen the perfect person to bring the book to life. Her finished work was better than I expected. This sounds like simple advice I guess but write something you would love to read. As I was writing, I went back in time and imagined a teacher reading the book to a class and imagining the different lines I would have reacted to. My wife Renae Christine and I are very blessed because we both get to work from our home and we are truly best friends. You know that couple that makes you sick because they are always together and appear to be enjoying each other’s company. Yuck huh? When we are not working, we enjoy watching old movies. I mean REALLY old movies. I have a collection of over 11,000 movies from the years of the 1920’s through the 1960’s and we enjoy watching them when we can. I also want to begin work on another children’s picture book perhaps. As far as a pug in my future – I entertain the possibility occasionally but we travel quite a bit and it doesn’t fit into our lifestyle at the moment. Thanks to Tom for sharing his story and tips. We can’t wait to see the funny news clips! 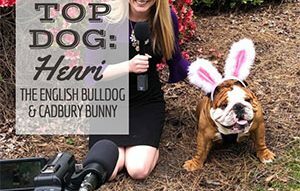 And if you love pugs, you might also enjoy our interviews with Batman the Pug and Max and Minnie the pugs. What do you love most about pugs?